Our next Catch Up with the Property Girls event in Darwin will be on May 16th, 2019! The “Catch Up” events aren’t about training or education; they are about support and community – and they are terrific fun! Connect with like minded women in the property industry in a fun, friendly environment. The first venue chosen for our first Darwin event is the terrific Traders Bar! 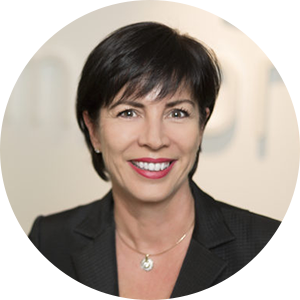 AND We also have our fantastic special guest speaker, Leanne Pilkington, President of the REINSW, Managing Director of Laing+Simmons and founder of RWIRE! Leanne is Managing Director of leading New South Wales boutique real estate group Laing+Simmons, and one of the real estate industry’s most respected and sought-after commentators. She’s the only female Managing Director in real estate franchising in New South Wales and one of only a handful in Australia. Addressing the gender imbalance, empowering women agents and pushing towards industry-wide professionalism are all key passions for Leanne. She continues to pioneer industry firsts such as establishing a women’s real estate networking group and introducing counseling and employee assistance programs for Laing+Simmons team members while serving on industry bodies and championing the growth of professionalism in the industry at large. Her 35 years of experience covers the full spectrum of real estate services: residential sales, property management, retail management, commercial leasing, property development and franchise management. She has been a Finalist in both the Telstra and Optus Business Women awards, was awarded the REB Thought Leader for 2017, and is the current President of the REINSW.